Savannah Wellman has always been a Vancouver girl at heart. She began writing songs as a child, teaching herself the keyboard in the process. She knew it was a passion she wanted to take seriously, so she went to music school to get a degree. While she was getting her degree, she was putting bands together to play her songs. Under the moniker Savvie, the formations and sounds of the bands have changed and evolved, just as she has. Savvie’s latest single, “Creature of Habit”, is the first piece of new music since her 2015 debut, Night Eyes. It had been three years since she last released music, so it was difficult to choose which song she wanted to release first. With its theme of fighting inner battles with the things that can get the best of us, it was the message she wanted listeners to take away from the song that helped make the ultimate decision. This is Wellman’s first time introducing singles versus releasing albums, and although it’s a new challenge it also gives her the freedom to get experimental with her sound. 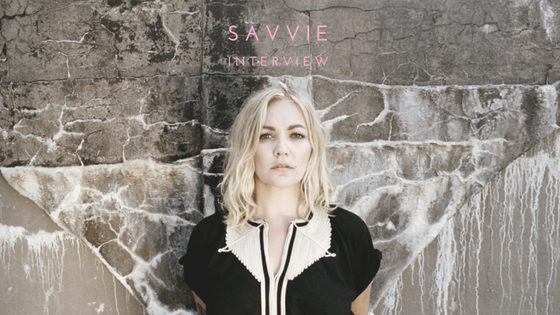 It doesn’t have to be a theme of an album or instrumentals of the same sounds - it just has to be Savvie. Savannah Wellman has always been a Vancouver girl at heart. As her sound continues to change and evolve, her own creature of habit is sure to do the same.